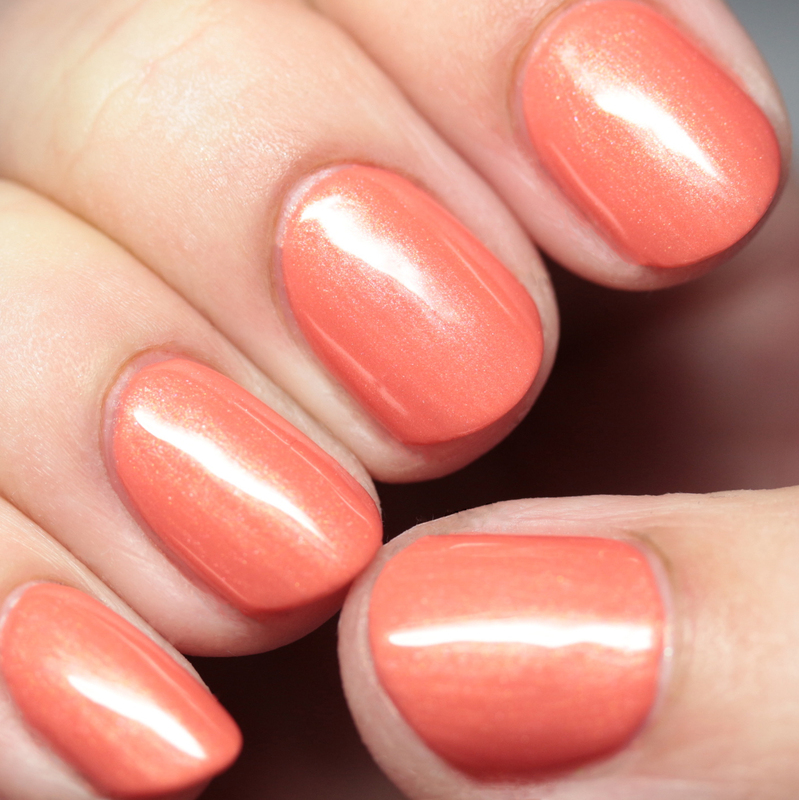 I'm excited to share a line from Sally Hansen that launched this summer - Color Therapy. 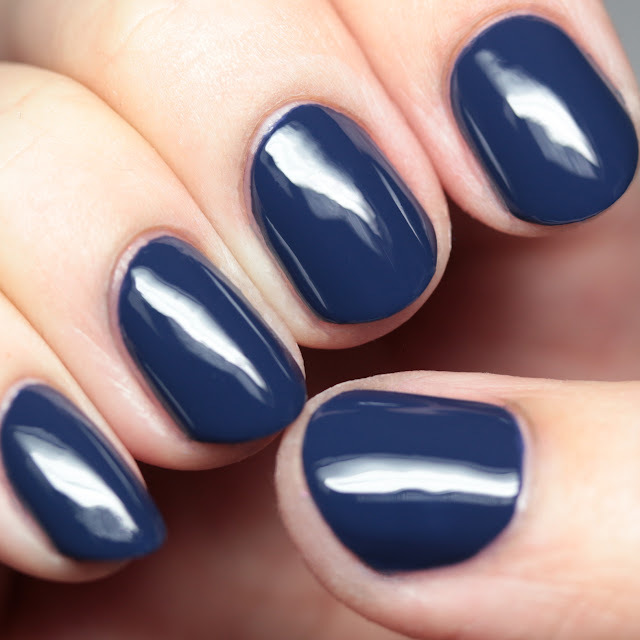 These polishes are designed to be long-wearing and to also treat nails with argan oil. I have to say I am pretty excited when I see new products offered by Sally Hansen - I've been using their polishes for over 30 years and my collection fills more than a whole Ikea Helmer storage unit! They are definitely a go-to for me when it comes to interesting mainstream shades with high quality at affordable prices. Let's have a look. While I did not test for a full 10 days, the two full manicures I did with these held up well for several days. The formula spreads nicely and dries fairly quickly. As with some other Sally Hansen lines, these come with very wide brushes. Normally I am not a fan of super-big brushes due to my tiny nails, but these were not unmanageable due to the fact that the ends were curved. They smell a bit different than most polish due to the argan oil - that scent lingers a little while as the polish dries. I used the polishes with both indie top coats and Sally Hansen Insta-Dri and the formula worked equally well with both. 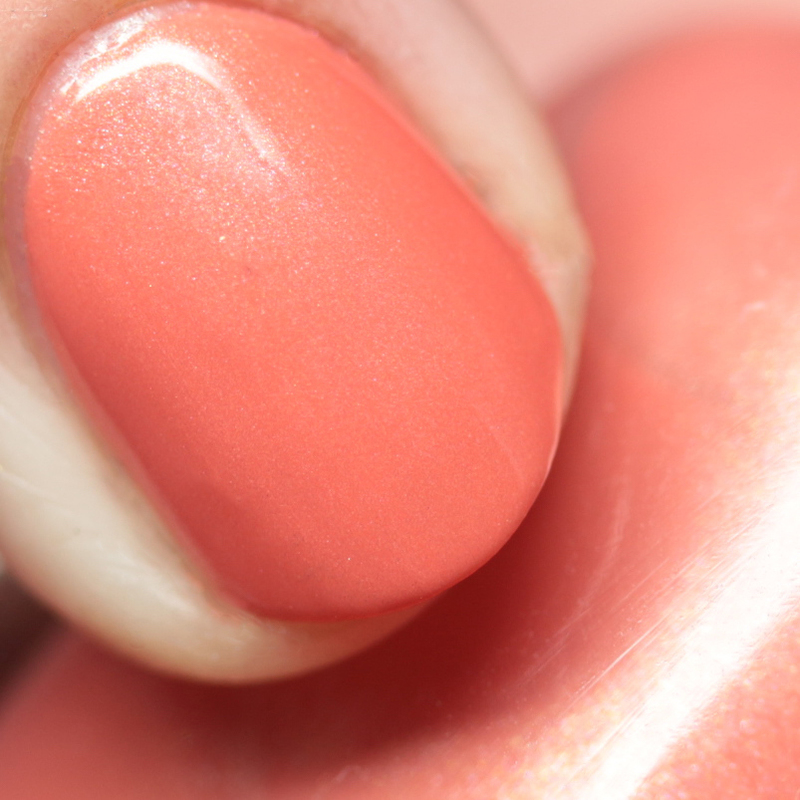 300 Soak At Sunset is a coral with white shimmer, worn here in three thin coats, but two will do. The brush strokes with this are minimal and it had a lovely, smooth look. 390 Slicks and Stones has magenta-to-gold multichrome microflakes in a blue-black base. This is super-opaque in one or two thin coats. 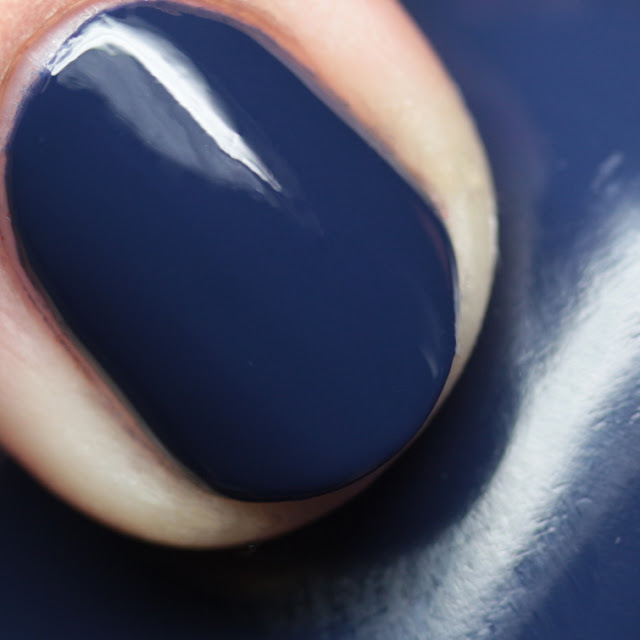 Because of how opaque it is, top coat tends to mix a bit with the base so the top coat will make it look bluer and make the shimmer less obvious. You can see the difference in color in the bottle vs. nail. 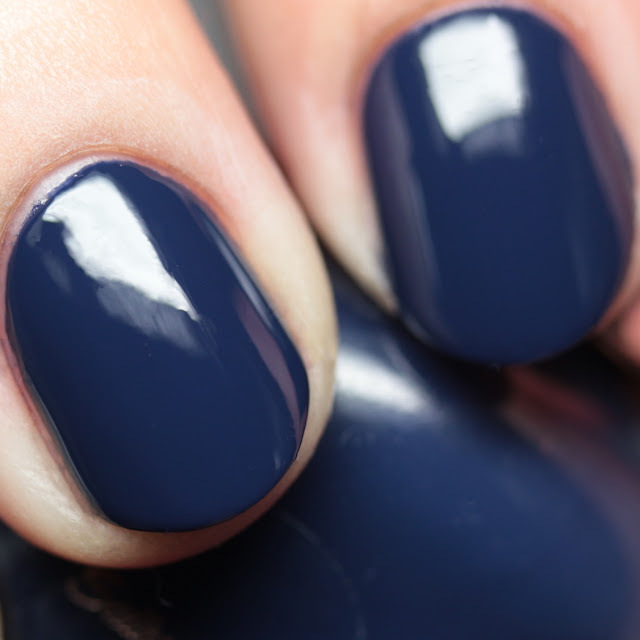 420 Good As Blue is a midnight blue creme, worn here in two thin coats. Beautiful, smooth formula! 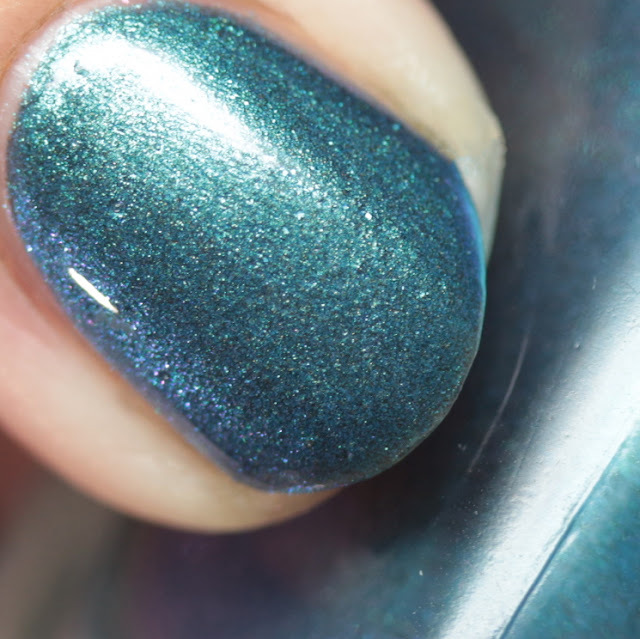 450 Reflection Pool is a blue-green-to-magenta multichrome shimmer, worn here in three thin coats, but two will do. This is a lovely, reflective shade. It dried a little bit slower than the other polishes due to the shimmer content, but it was still fairly fast. I was very pleased with the shades I tried from the recently released Sally Hansen Color Therapy line. The formulas were easy to use across the board and the dry times were good. These can be found at drug stores and mass merchants for $6.99. They are currently available online at Target.com. I can definitely recommend them as good basics!